During the End of Month process you will need to view your Monthly Summary Report. When you exit the report you may get a warning message pop up to say Invalid Unit Detected! There can be a few reasons why this happens. There may be a charge belonging to the month but not yet applied to a unit or it has been applied to an incorrect unit number. The other reason is that the unit no longer exists. Whatever the reason, it must be addressed prior to completing your end of month. 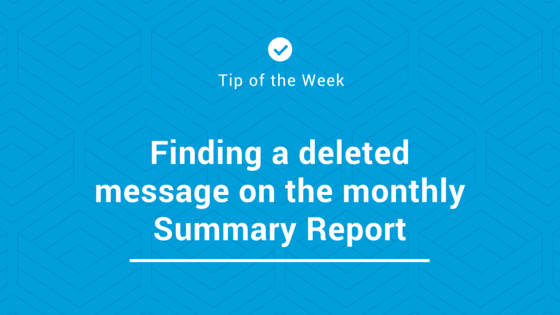 Click on to the Okay button of the warning, preview your Monthly Summary Report again, find the error in question by searching for the deleted unit or for the word deleted. Take note of the amount applicable to the deleted unit. Keep moving through the pages of the Monthly Summary Report until you find what Group the expense relates to, take note of this and then exit the report. Select the Groups icon, and find and highlight the Group code you just made note of, then select the Group Account, to be able to see the units that relate to the charges click onto the arrow pointing to the right, find the charge that is not connected to a unit and click on to the change button. You can now enter or alter to ensure it is the correct unit number, or if the charge is completely incorrect click on ok and then delete the charge all together, after making this change, ensure you regenerate your cheques! Please submit a support request via our Service Desk if you continue experiencing difficulties.